Being a city filled with diverse culture and creativity, Mumbai will witness a week-long celebration of Art, uniqueness and culture through GoodHomes forArt-an initiative by GoodHomes magazine to foster love for art and to make it accessible for all. 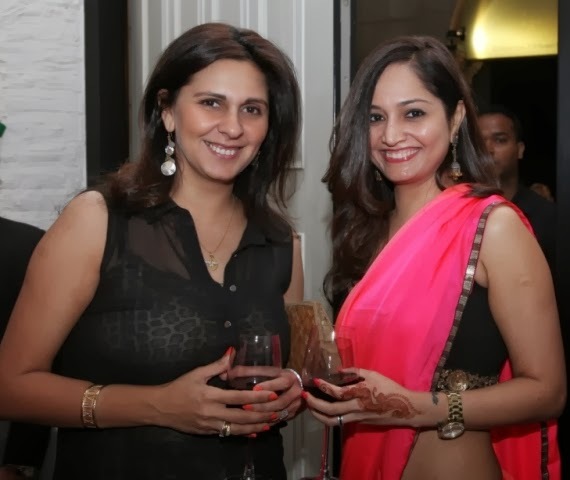 Good Homes India magazine celebrated the commencement of GoodHomes for Art 2013 with an Exhibition – Seven followed by a party at Gallery 7 on 16th November. The red carpet witnessed celebrities like ace fashion designer Narendra Kumar,Rashmi Uday Singh, Brinda Miller, Dalip Tahil, Arzan Khambatta, Sanjeev, Sameer Tawde amogst the others graced the event with their presence . Ronita Italia Dhanu “We are keeping the promise we made last year with GoodHomes for Art. The whole point of the initiative is - and will always be - to take art to the people. This year we're pushing the envelop a bit with the reach and appeal of the GoodHomes for Art Week. We're going to be creating fresh converts to the art world as much as we're engaging and involving seasoned art lovers. The weeklong celebration of art will include talks, shows, workshops and much more. The agenda of this initiative is to break the misconception of art being elitist by connecting art with public. Art will now be witnessed not only at galleries but also be available for public display at various public spaces. The events, workshops and open discussions between renowned artists and amateur art enthusiasts will enlighten every participant and help create and increase their passion for Art. The Art-week serves as an opportunity to help one understand art not only as a passion, but also as a way of expression. GoodHomes is India’s leading home and décor magazine, published by Worldwide Media, a wholly owned subsidiary of the Times Group. The magazine was launched in India in 2008. It reaches out to the contemporary Indian home-owner, who is always on the lookout for inspirational ideas. House proud and homeward-bound, the magazine reflects the modern design aspirations and stylish aesthetic attitude of its readers, addressing the changing needs of today’s home owner. Häfele, India completes 10 years of Functionality and Design this year and continues to offer the very best interior solutions and fittings. Häfele set foot in India in 2001 as a liaison office essentially handling Hospitality projects for its line of Access Control Systems – Dialock. The growing hardware demand and the increasing architectural maturity motivated the company to start full commercial operations in India in 2003 as a wholly owned subsidiary by the name, Häfele India Pvt. Ltd. With its head office in Mumbai, 6 regional offices with Design Centers in all major metros and sales presence across the country, Häfele India has, over the last 10 years, acquired a leading position in the Indian Architectural Hardware Industry. Backed by the encouragement and constant motivation of Mr. Jürgen Wolf, Managing Director, employees at Häfele take responsibility for their learning. Today, Häfele India employs over 350 people who cater to a wide customer base with the help of an efficient distribution network, comprehensive logistics system and a sophisticated warehouse located in Mumbai.